The Calphalon XL Digital Convection oven is the perfect gift for the cook in your life this holiday season! This super sized convection oven gives your family the capability to cook family size meals, to perfection. Roast a whole chicken, cook a large 12" Pizza or anything else that your family may be craving; the large interior accommodates pans and baking dishes sized up to 9 x 13 inches! The Calphalon XL Digital Convection Oven is incredibly user friendly too. The large digital display screen is easily navigated using four simple buttons [start/cancel, mode, defrost and convection] and two simple dials [timer and temperature]. Moms and Dads, life gets busy! If you forget to defrost something for dinner [like we all do on occasion] NO WORRIES! The Calphalon XL Digital Convection Oven is equipped to handle it! Simple pop your frozen food into the convection oven and press the convenient defrost button. Of course, when we prepare meals for our family, the objective is to spend time at the table with our family, right? Calphalon helps you to do just that by making cleanup super simple! Simply wipe the high-performance bronze non-stick interior of the XL Digital Convection oven with a warm damp cloth [and dry.] For any spills or crumbs, Calphalon has incorporated a convenient crumb tray that simply slides out for easy cleaning. Whether your doing a ton of baking or your cooking family size meals, the Calphalon XL Digital Convection Oven helps to ensure perfect [delicious] results each and every time! 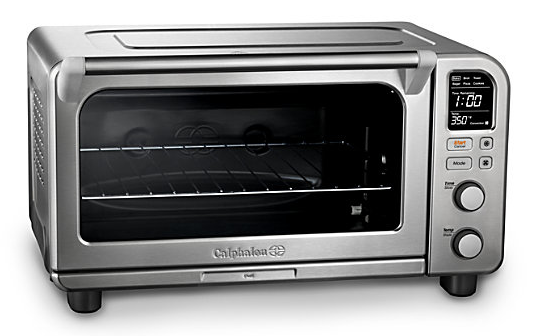 The Calphalon XL Digital Convection Oven is perfect for gifting [or receiving] this Holiday Season! 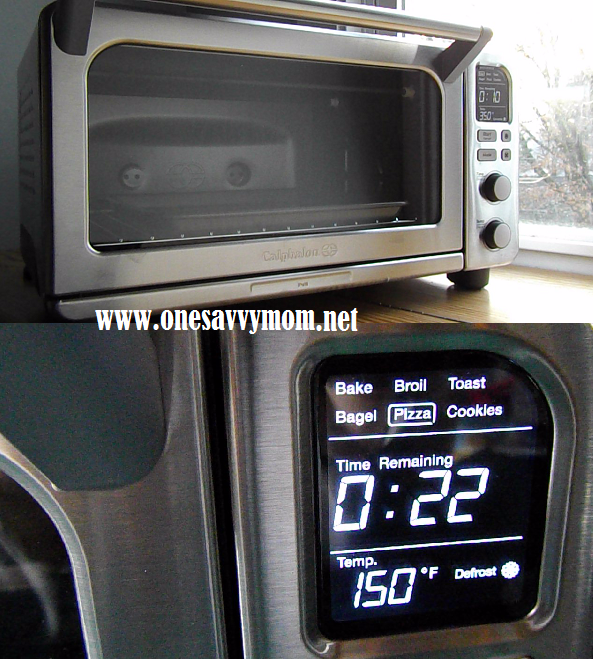 Custom time and temperature settings for bagels, pizza and cookies. Fits a 9" x 13" pan, 12" pizza or 6 slices of toast. Front-access crumb tray and high-performance bronze nonstick interior for easy cleanup. Opti-Heat System features internal sensors that monitor temperature to ensure precise results and a convection fan to promote crisp, even browning and uniformly cooked food. Choose from bake, broil, or toast settings with simple dial and button controls. Ready to experience the greatness of the Calphalon XL Digital Convection Oven? Open to residents of the U.S. only. 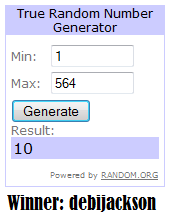 Entries must be received by 11:59 PM PST on January 6, 2012. Reader will be drawn at random through www.random.org and must confirm their shipping details within 48 hours from the time that the email notification is sent (or another winner will be chosen in place).